Penn Fierce II Live Liner Spinning Reels adding Live-Liners to an already successful family of reels. 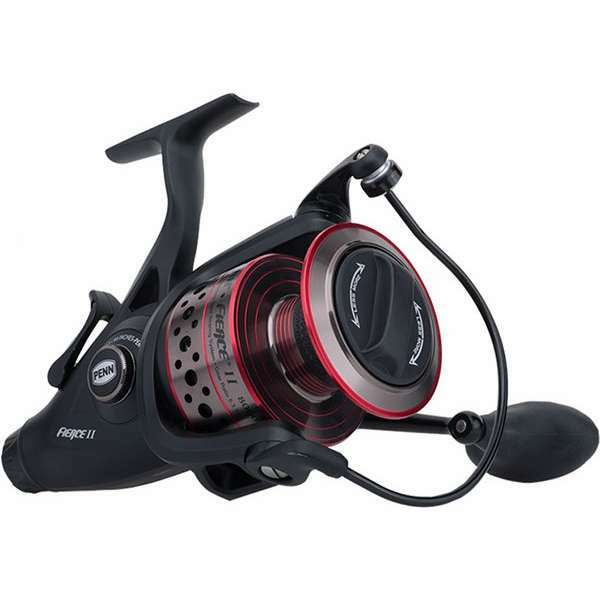 Penn Fierce II Live Liner Spinning Reels are a perfect economic alternative to other Live-Liner reels. 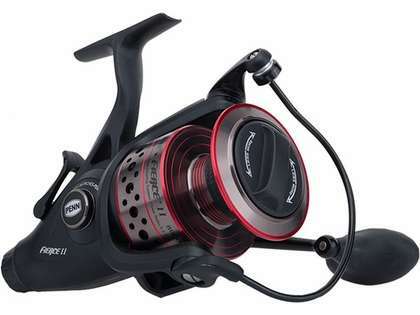 Love this reel and its a great price! Penn makes great reels for heavier n harsh environment situations. These reels are half price if thunnus and do well. This is part of my first serious surf fishing rig. I couldn't be happier. Great casts & smooth retrieve. The coolest thing is the live liner feature. It's easy to set, and gives you a great way to give the fish a little time to run before realizing he's being followed. ProsLive liner feature. High quality construction. great reel for the money. i use this for stripper down in maine and it has no trouble at all. drag is smooth and so is the reeling. ConsI do not have more! Fierce works well but I like Spinfisher better. Fierce seems to jam the bail every now and then. It's still a good reel and the bail nuances happen with every reel but just prefer my Spinfisher. However, for the price, Fierce is a great deal and I'd buy it again. This item works well for me as a mahi and tuna reel for the weed lines. Whether winding in a circle hook and bait or a casting lure it is very versatile. This Penn real is awesome. I've been using bait runner reels for Walleye and Bass fishing for many years. When the Walleye are hitting light, the baitrunner feature is perfect. And, this is the only decent baitrunner left on the market that's sized right for this fresh-water fishing. The quality of Penn Reels is outstanding. I have three of these in my arsenal! If you buy one, you won't be disappointed! ProsBaitrunner or as they call it "Live Line" feature really helps catch fish when properly used. The size is perfect for fresh water fishing. Very smooth working reel! Great Price!!!!!! Penn fierce II 6000 LL. Great reel! Bought FRCII6000LL after reading reviews for all the Penn spinning reels. People comparing it to clash but heavier. I paired it with It with Shakespeare Ugly Stik Tiger Rods 7' 20-50lbs medium. Perfect combo!! Took out this past week in the keys. I balloon drift fished a live ballyhoo with the live line switch on. Took line on waves action on boat. Good news was it worked perfectly allowing the ballyhoo to take line freely. Bad news was I caught 5 barracudas. The reel owned them really good. I then switched to yellowtailing on this rod and it was perfect. This reel and rod combo allowed me to rip the yellowtail in before losing it to the man in the grey suit. I bought this item after great reviews on other tackle distributor websites. Tackle Direct had the best price of any body including the manufacture's. So i thought I'd buy it. Great shipping and customer service. The reel has a smooth retrieve and they bail closes nicely with the turn of the handle. The only thing that I wish would have been better was the lightness of the live line drag. I turned it to the lightest setting and found hat it was still not as light as I thought it should be in the 2500 series model. I have two 4000 series in the Baitrunner and they both have lighter live line drags. Thats the only reason I didn't give the reel 5 stars. What's the difference between the Penn fierce 11 8000 and the 8000ll ? The 8000 LL is the Live Liner which has a button you press which allows bait to roam freely. The 8000 II is the one without that feature.